We are usually so preoccupied with our lives that we seldom realize how important it is to upkeep the one thing under which we live – our roof! The roof is a part of our home that bears the brunt of extreme climatic changes. From scorching heat to heavy rains and from snowfalls to hailstorms, your roof takes it all. But what should you do if your roof gets damaged? Let’s find out. Leaky roofs: The most common problem that one faces with their roof is leakage. If you notice dripping water, wet spots or rapid mold growth on your ceiling, this means your roof is leaking. There can be many reasons behind this leakage including rain damage or ice buildup. Other factors that could be associated with the leaks are mislaid or damaged shingles, poor installation/repair of the roof and surpassed roof lifetime. Wear and Tear: Like any other thing, roof also has a lifespan which depends upon the material used in the roof. Shingles, that cover the roof can be helpful in determining the remaining life of the roof. If the shingles are old, they get cracked, curled and start to loose granules. If the damage is big, you can consider getting a new roof. Also, if you have got various repairs done on your roof already, there’s no point spending more money on it. This can happen if the roofing material wasn’t of a good quality. In such cases, replacing your roof is the only right way. Blistering and peeling off paint: Heat and humidity can severely damage the roof. When the heat accumulates in the roof, the paint on the interior or exterior of the building starts to decay. If there are signs of mold and mildew in your building, this means, either there’s inadequate underlayment in your roof or there’s inefficient/poor attic ventilation. If you see any of these signs on your building, you should take measures to ensure the excess heat can vent out from your roof. When you identify the exact problem with your roof, only then you will be able to figure out the root cause. If your roof only needs a small repair, proper inspection of the roof should be carried out to make sure the problem gets solved after making the repairs. It is recommended that you carry out an inspection twice a year. This is because when a part of your roof gets damaged, and if you overlook it, this can deteriorate the problem. A damaged roof needs immediate attention and should be replaced/repaired as soon as you notice the problem. 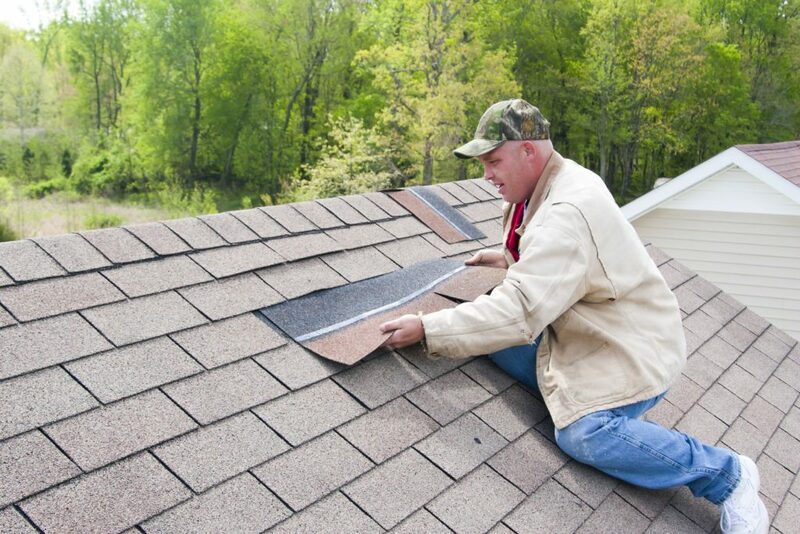 Even if you see a single piece of shingle missing from your roof, you should replace it immediately. Repairing it yourself can look to be an easy task. If you are planning to do it yourself, you must take all the necessary precautionary measures. Remember, climbing up or down the roof can be a risky thing. Accidents can happen while performing the repairs. You certainly don’t want to risk your life in making these repairs. Hence, hiring a professional roofer can be a good idea. A good roofing company like South Shore Roofing will help you with the inspection of your roof as well as repair/replacement.